Manila Water Foundation | Manila Water Company, Inc.
Today, MWF is a non-stock, non-profit organization accredited by the Philippine Council for NGO Certification (PCNC) and recognized by the Department of Social Welfare and Development (DSWD), the Securities and Exchange Commission (SEC) and the Bureau of Internal Revenue (BIR). Leveraging on the Enterprise’s business expertise in water and sanitation, the Foundation reaches out beyond the business’ concession area (Metro Manila East Zone) to serve the entire archipelago. To make a meaningful impact, MWF focuses on an Integrated WASH Program—a holistic intervention of water access, sanitation and hygiene education (WASH) services, intended to improve the lives of marginalized communities. It uses a people-centered approach that empowers community leaders to own the transformation within their areas. Its over-all vision is to bring WASH to all marginalized communities and is anchored to the United Nation’s Sustainable Development Goals (SDG). Manila Water Foundation supports SDG 1- No poverty; SDG 3- Good health and well-being; SDG 6- Clean water and sanitation; SDG 14- Life below water; and SDG 17- Partnership for the Goals. MWF dreams of a world where everyone enjoys the basic human right to clean, safe and potable water. With its Integrated WASH, Flagship and Special Programs, the Foundation hopes to be able to achieve its lofty goals and see a Philippines where no one is left behind. The first step in realizing this ambitious goal is to introduce WASH (water access, sanitation and hygiene education) as a community agenda where people are at the core of the development process who drive their own participation to make the program successful. The Integrated WASH program comes in three phases. First phase is Water Access or providing clean and potable water in a selected community. The second phase is Sanitation, the designing and building of toilets for communities to eliminate open defecation. Aligned with the first two is the last phase, Hygiene, which is focused on educating the community on the importance of proper hygiene practices as key to good health. Throughout the entire process, the approach that is used is participatory, inclusive, holistic and sustainable. MWF also reaches out to other marginalized communities through its FLAGSHIP PROGRAMS – Lingap, Ahon and Health in our Hands. 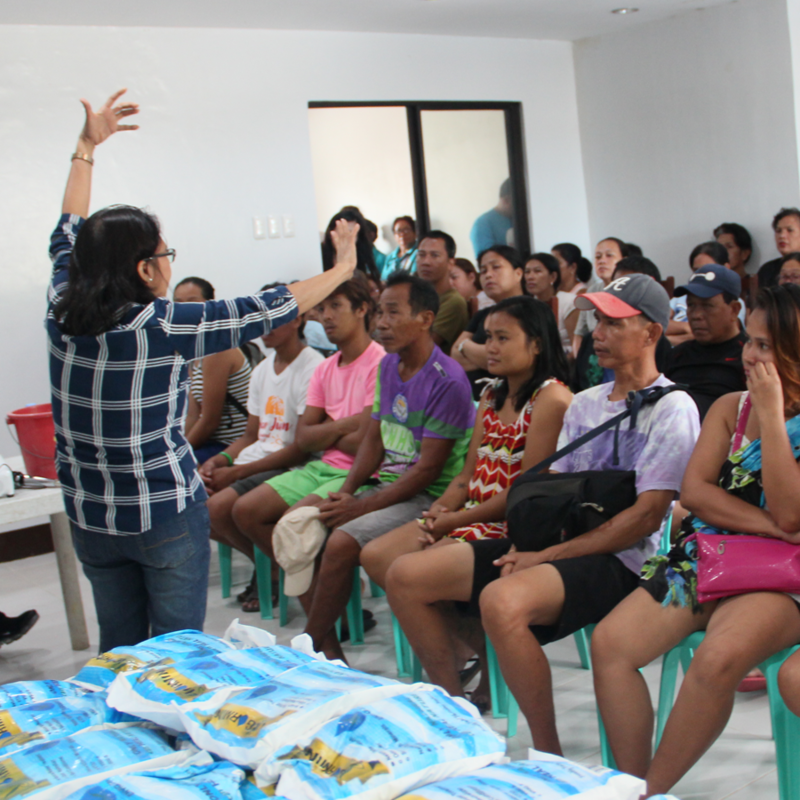 These programs are for public institutions and low-income communities that have less to no capacity to install their own stand-alone water supply system and are in-need of hygiene education. 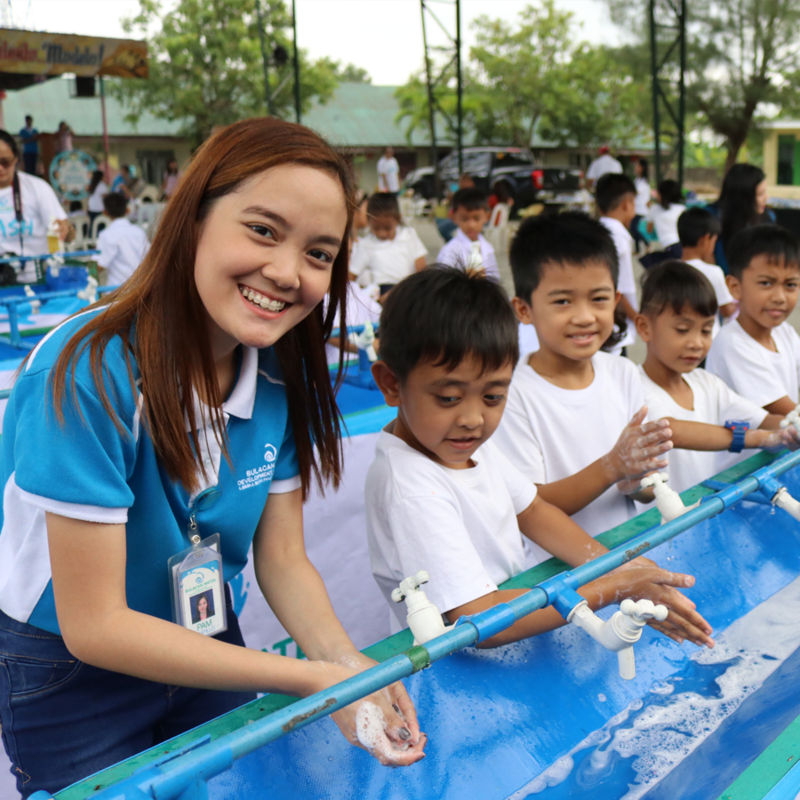 We serve low-income communities with the provision of subsidies for individual piped-in water service connections through Ahon Tubig and construction of toilets and other sanitation facilities to help with waste containment, disposal and management through Ahon Sanitasyon. We educate communities on the importance of proper hygiene practices as key for healthy living. We celebrate World Oral Health Day every March 20, Global Handwashing Day every October 15 and World Toilet Day every November 19. 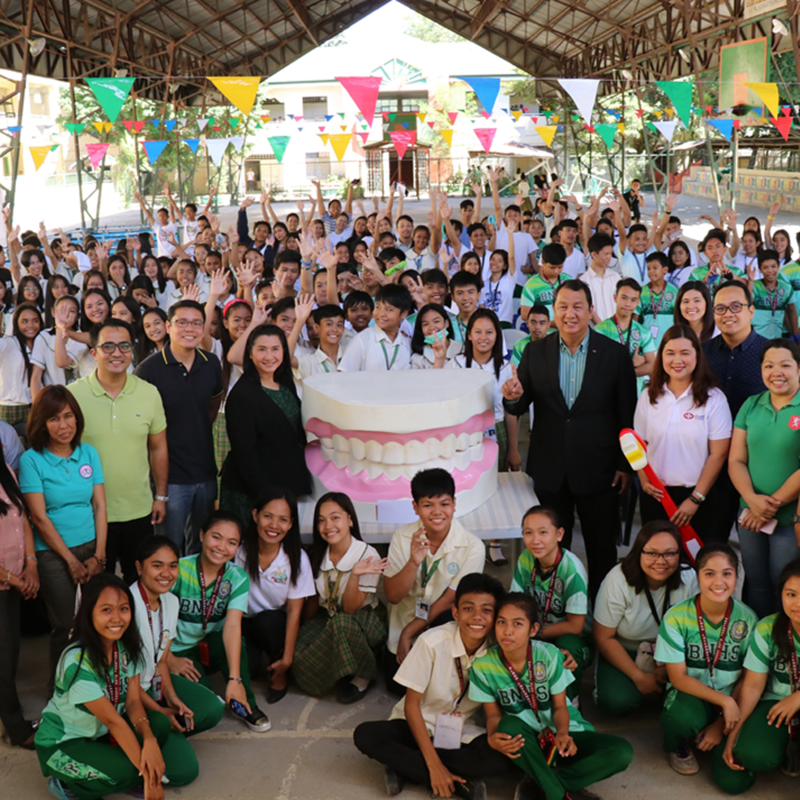 The Foundation also serves through its SPECIAL PROGRAMS which promote national development and immediately addresses the Filipinos’ needs in times of disasters and calamities. 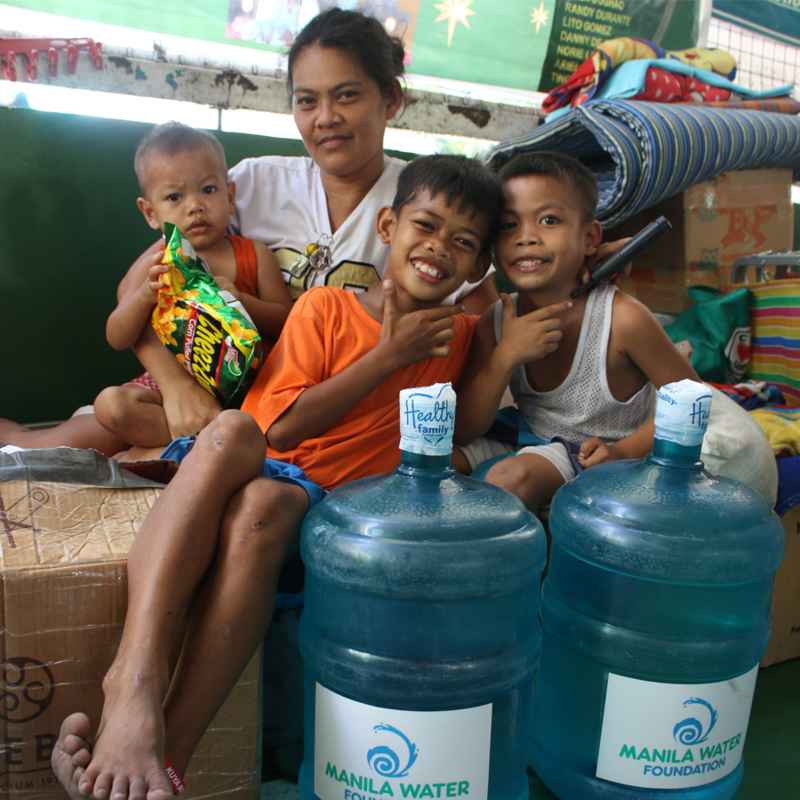 A disaster response program that distributes bottled drinking water and deploys water tankers to affected families through Agapay Tubig and builds transitional toilets for displaced communities through Agapay Sanitasyon. 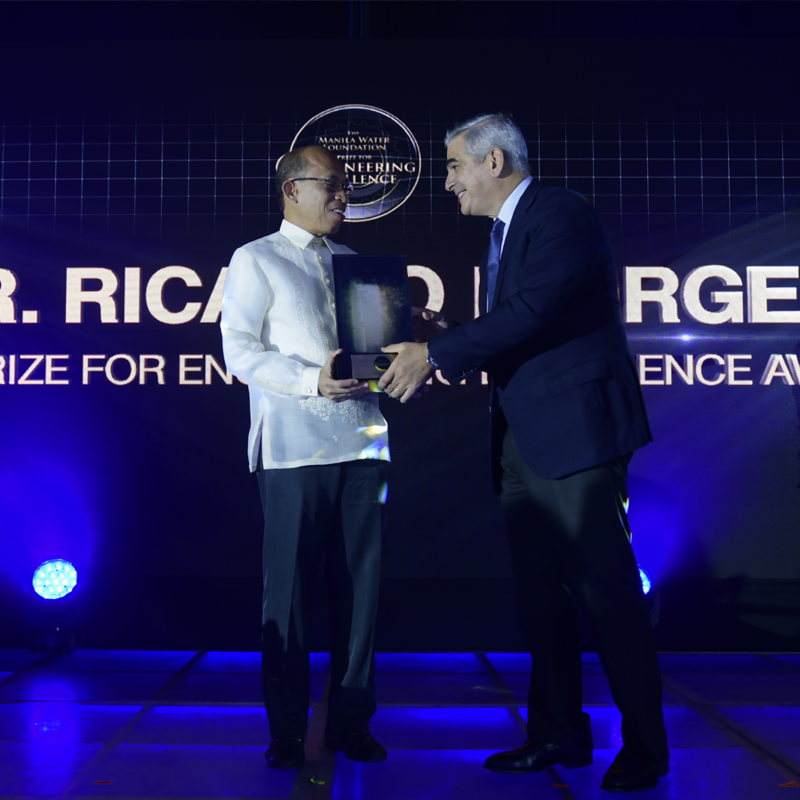 A biennial award that recognizes notable Filipino engineers whose expertise and inventions made a positive impact in the lives of many Filipinos in the areas of water, sanitation, environment and sustainability. A circle of the Prize’s awardees who can be tapped as resource persons or consultants for learning engagements and other WASH initiatives. A pool of Manila Water Enterprise talents and external stakeholders who selflessly give their time and resources to MWF’s initiatives.